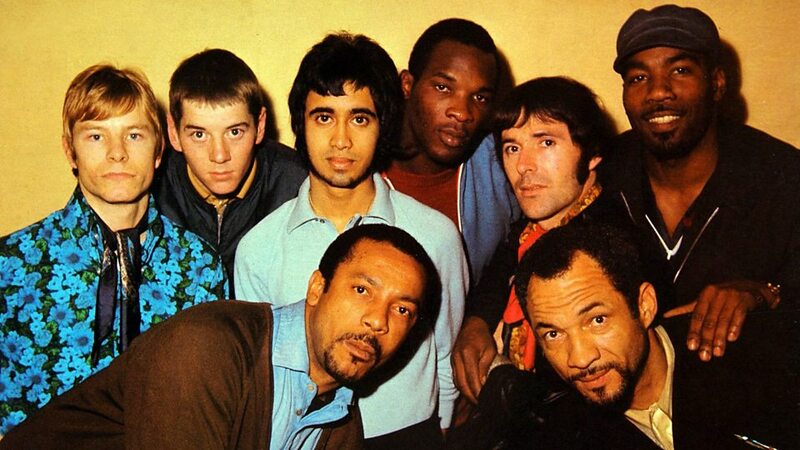 Originally a Ska/Reggae/ band called ''The Ramongs'' fronted by two lead singers, they lived in a basement club & former gambling den called ''The Butterfly Club'', sometimes not surfacing for several days. 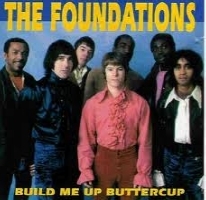 When someone suggested a name change for the band, Alan came up with ''The Foundations'' to go with the Tamla Motown/soul style of music that they were getting more into. When one of the singers left the band to occupy a room for six months at Her Majesty''s pleasure, Joan, a friend of the band, suggested a replacement singer called ''Arthur Brown'', (later to find worldwide fame as The god of hellfire with ''The crazy world of Arthur Brown''). He joined the band for about six weeks gigging in and around London. When Arthur left to do his own thing, they landed a couple of tours backing ''The Toys'', (''Lover''s concerto''). Then American Soul Legend ''Edwin Starr'', (''S.O.S,'' ''OO soul'', ''and ''War what is it good for''). They carried on running the club, until they were eventually forced out by a protection racket gang. They moved into a squalid disused Mini-cab office next door, where they were discovered by Ron Fairway who introduced them to businessman Barry Class. Seeing the potential of making big bucks from a band which was totally different to all the other bands, (they were all from different races, unusual for that time),and they were playing soul music, Class put the band on a retainer whilst Ron Fairway set about trying to secure gigs. All came to nothing until one day he introduced them to A & R man Tony Macauley. He set up a recording session where they laid down some soul/R & B covers. He then said he would like them to try out a song that he and co writer, John McCloud had written, called ''Baby now that I''ve found you''. ''Baby now that I,ve found you'' was recorded on an 8 track machine at Pye Studios in the summer of 1967, and after a slow start, it started climbing the charts, where it reached No.1 in the UK, and 18 in America. Another couple of records followed. ''Back on my feet again'' and ''Any old time you''re lonely and sad'', both became top twenty hits. Their lead singer Clem Curtis then left the band to pursue a solo career, and was replaced by Colin Young. They cut the next record ''Build me up Buttercup'' which was written by Mike D''abo, (frontman for the hugely popular group, ''Manfred Mann''), & Tony Macauley. Mike Da''bo also played piano on the recording which went to number one all over the world, (except the UK where it reached number two). The next single ''Bad Bad old days'' was also a huge hit. This was followed by some minor chart entries and then the band, exhausted after four years of relentless, non stop touring around the world, finally split up around 1971.